Lucille was born to Victor and Helen (Leffler) Wolfe on April 28, 1940 in Eaton at her grandparents’ house. She was baptized and confirmed at Christ Lutheran Church in Eaton. 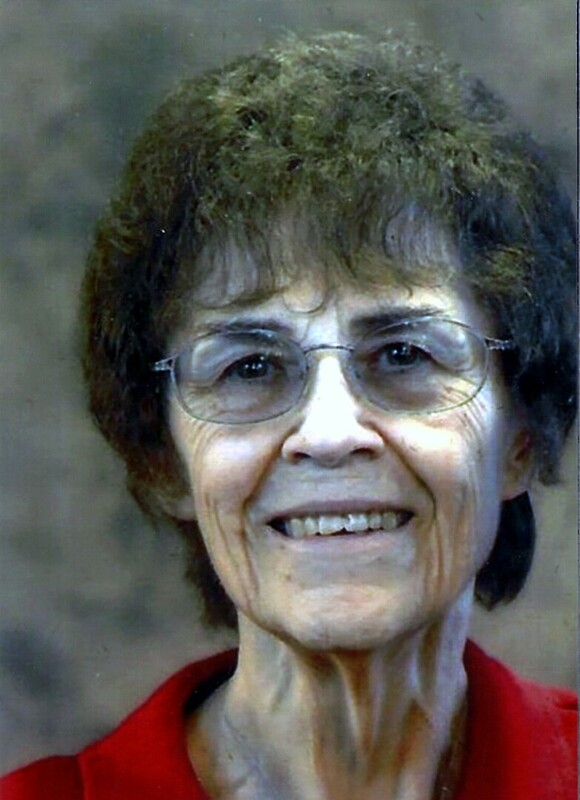 Later she became a member of Faith Lutheran Church, where she was very active in many roles such as a Sunday school teacher. For the last eight years, she was an unofficial member of the First Congregational Church of Eaton where she had a special relationship with Pastor Dave and his wife Patty, who came to her since she couldn’t attend services at the church. In 1958 Lucille graduated from Gill High School. She attended Greeley Beauty School and graduated in 1959. Lucille was a beautician for two years at Beauty Haven in Eaton. She married her high school sweetheart, Larry in 1960 becoming a full-time farm wife and the harvest cook for the crews. Later she became a fulltime mom, attending many sporting events including a lot of swim meets for both of her sons. For 15 years she sold Avon, which she loved to do because she was able to visit with her customers seeing all of the new items that were coming out. She loved to watch the Broncos, Nuggets and Rockies. She also enjoyed gardening, animals and family gatherings, but the love of her life were her three granddaughters and great granddaughter. Lucille loved going on the annual camping trip and being silly with her granddaughters and her dog, Kirby. She battled health issues through her life. As a child she had Polio, developed Post-Polio Syndrome, then Dementia and Alzheimer’s which she could not beat. Lucille is survived by her husband, Larry of Eaton; sons, Lynn (Pam) of Littleton, CO, Randy (Amy) of Eaton; a brother, Duane (Michelle) Wolfe of Eaton; three granddaughters, Carly (Mat) McGraw of Austin, TX, Shawndra and Jessica Miller of Eaton, great granddaughter, Avery McGraw of Austin; nieces, Vicki (Chris) Ruff of Eaton, Debbie (Troy) Carpenter of Tempe, AZ; aunts, Bev Leffler and Elsie Wolfe of Greeley; and many cousins. She was preceded in death by her parents; and brother, Larry Wolfe. Life Celebration Service will be held Thursday, July 12, 2018 at 10:00 a.m. at Eaton Community Church (formerly First Congregational Church of Eaton) 325 2nd Street in Eaton. Interment will follow at the Eaton Cemetery. In lieu of flowers, contributions may be made to the “Alzheimer’s Foundation,” “Halcyon Hospice”, or “Eaton Community Church building fund” in care of Adamson Life Celebration Home, 2000 47th Avenue, Greeley, Colorado 80634.